This photo was taken in 1963. The reinforced concrete with a resin coating has not weathered particularly well since then. 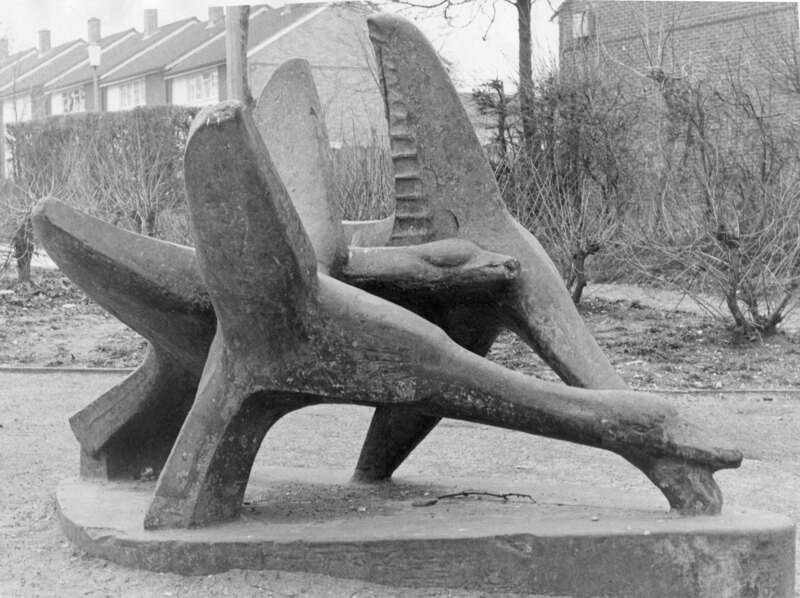 David Noble, of Digswell Arts Trust, also sculpted “Seated figures” at The Towers.